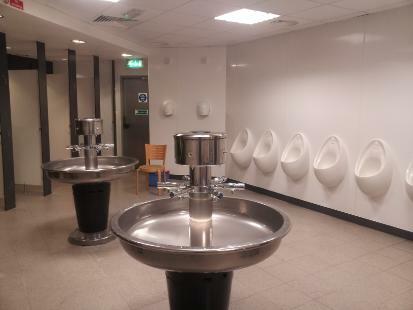 As you can see this is the finished look to the men's toilets at a service station. 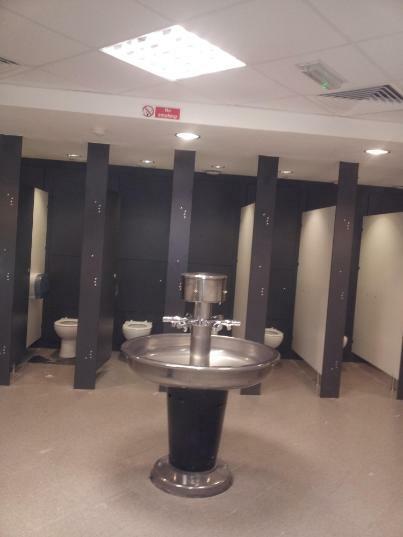 Abbotts Maintenance have been working with a building company refitting the toilets in the service stations up and down the country. So if you are after this sort of quality of work contact us and we can arrange a meeting to talk about what you need. All the walls are white rocked and the toilet cubicles are handmade units made from solid laminate. Hand made solid laminate W.C cubicles with lift off panels, as you can see this is of a high quality finish. We can install this in your schools, offices, or factorys. Contact us and we can turn your run done toilets in to what you see here. 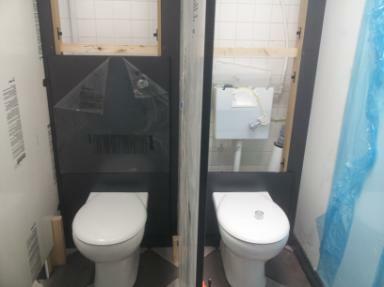 As you can see below work in progress on some W.C cubicles and the type of panels used.